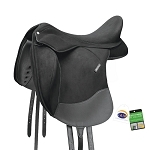 Seat Size 16.5" 17" 17.5"
This beautiful Pro-Trainer Paris II Jumping saddle is by Thornhill, right here in Pennsylvania and is part of their own Pro-Trainer Gold Line. 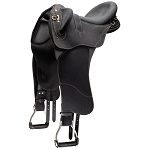 Pro-Trainer saddles and strap goods are made on 3 continents: Europe, North America and South America and they assure you that only the most expensive hand selected bridle leather is used. The Thornhill Pro-Trainer Gold line competes with the finest of the world's equestrian products at a fraction of the cost! A "new look" from Thornhill with the same beautiful "grippy" leather and superb balance seen in their other top styles. 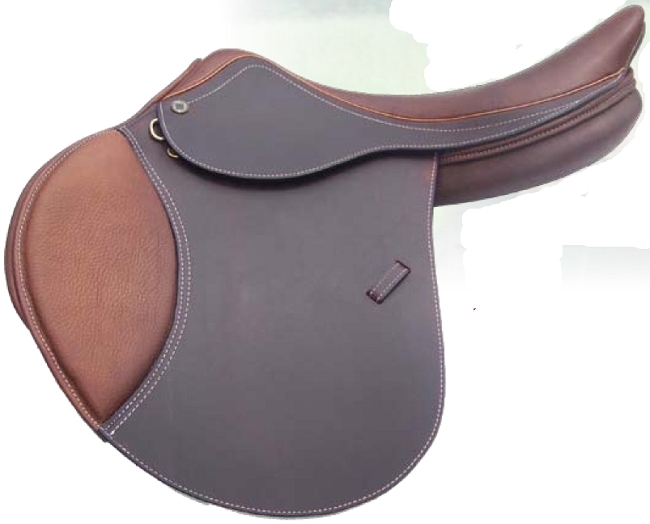 The Paris II has longer, forward cut flaps which makes it ideal for jumping. A great fit for longer legs or those that prefer to ride "short". 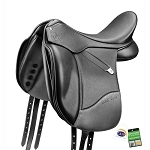 Very popular French styling seen in saddles costing several times as much! Ideal for the show ring look of top competitors today.